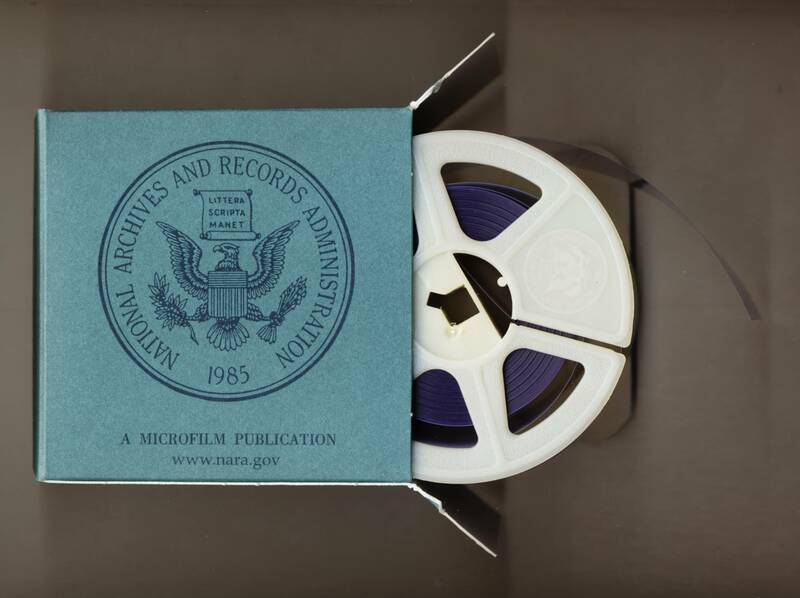 The ubiquitous microfilm reel: National Archives facilities nationwide are chock full of 'em! 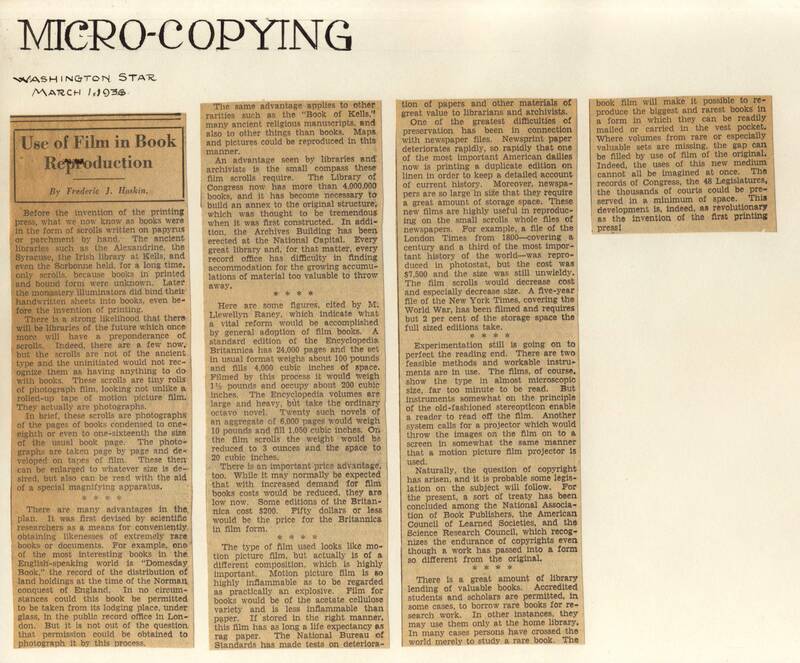 and microfilming was going to be a big part of its job from the get-go. 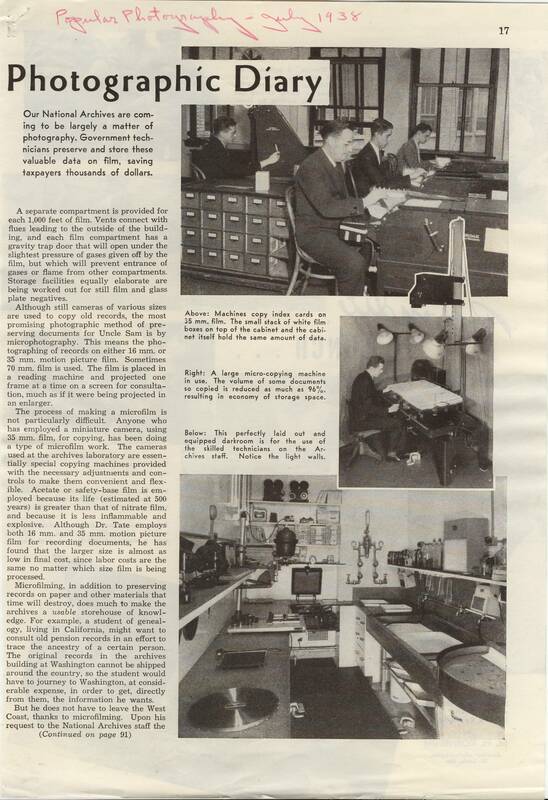 Dr. Vernon D. Tate was appointed Chief of the Division of Photographic Archives and Research. 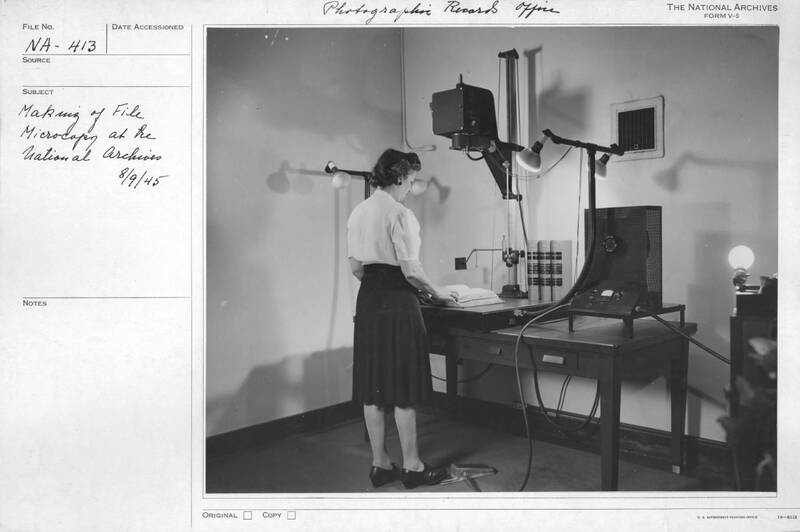 Mary Vance Wilson of the Division of Research and Publications is copying information from a reel. 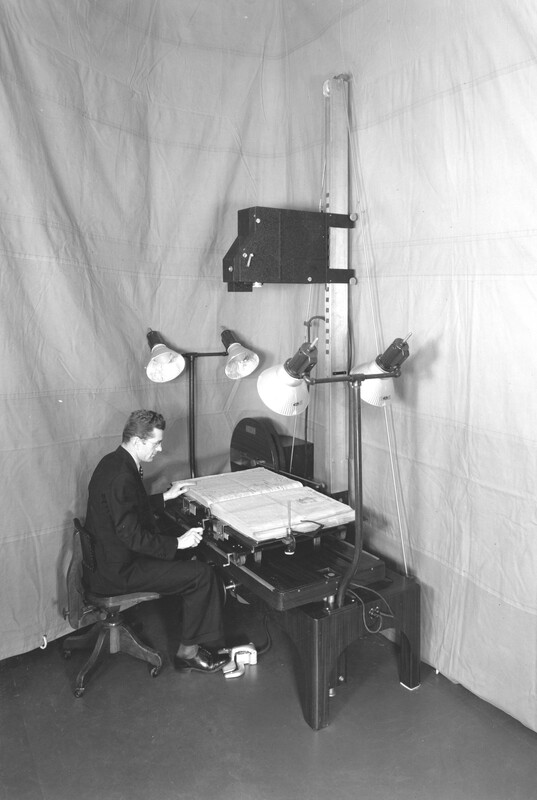 As World War II descended, the military services were establishing and expanding their microfilming programs. 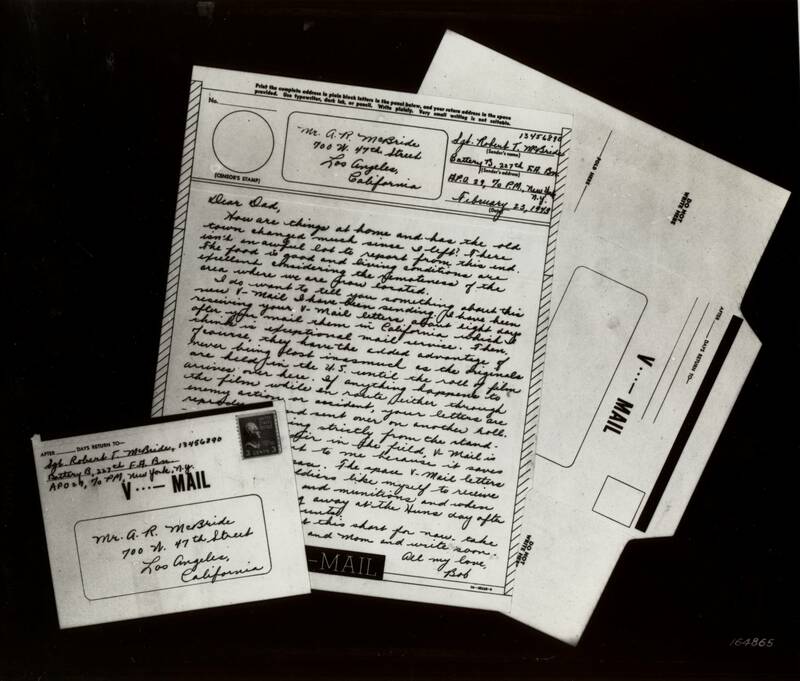 Perhaps the best-known of these was V-Mail. 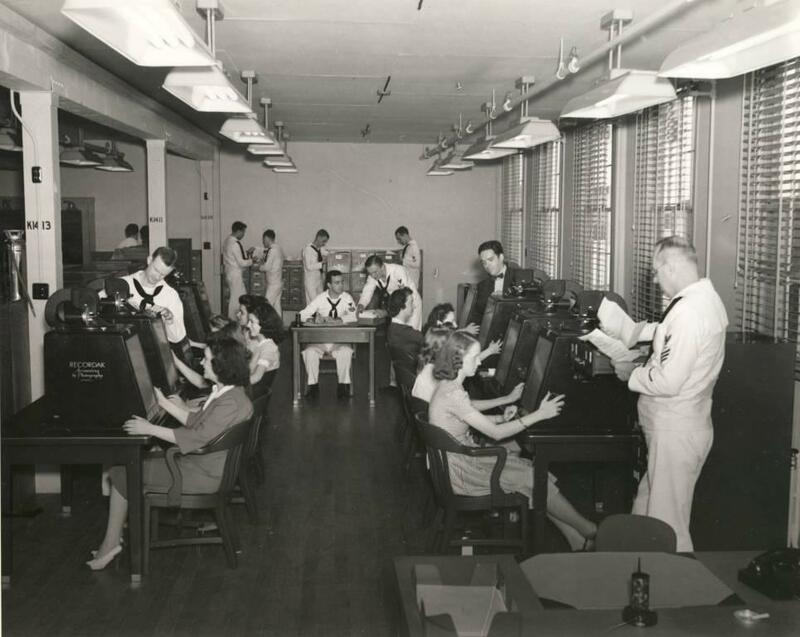 Workers examining microfilm for defects in the Navy's Microphotographic Section. 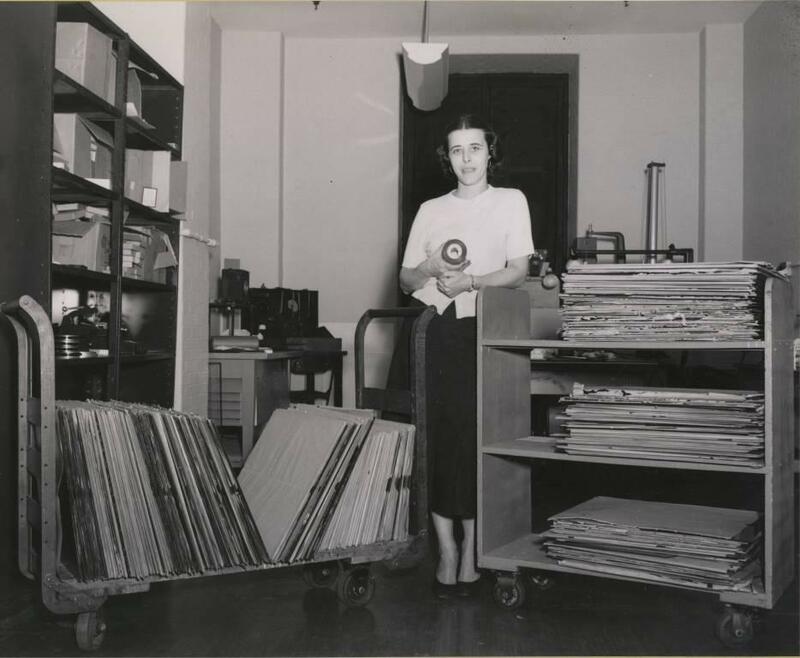 Microfilm Publications program in the early 1950s, which continues to the present day. 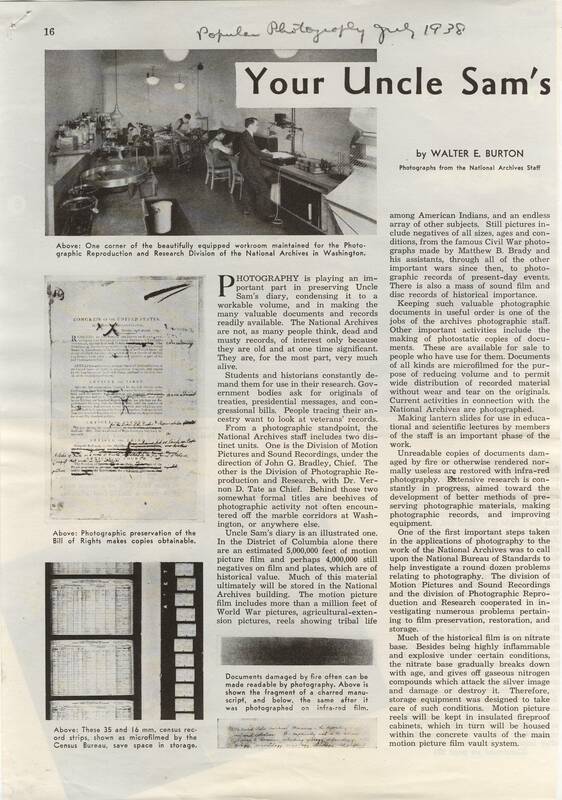 But as great as microfilm is, it still has its problems. Raise your hand if you've ever said "I can't read it; it's too faded!" 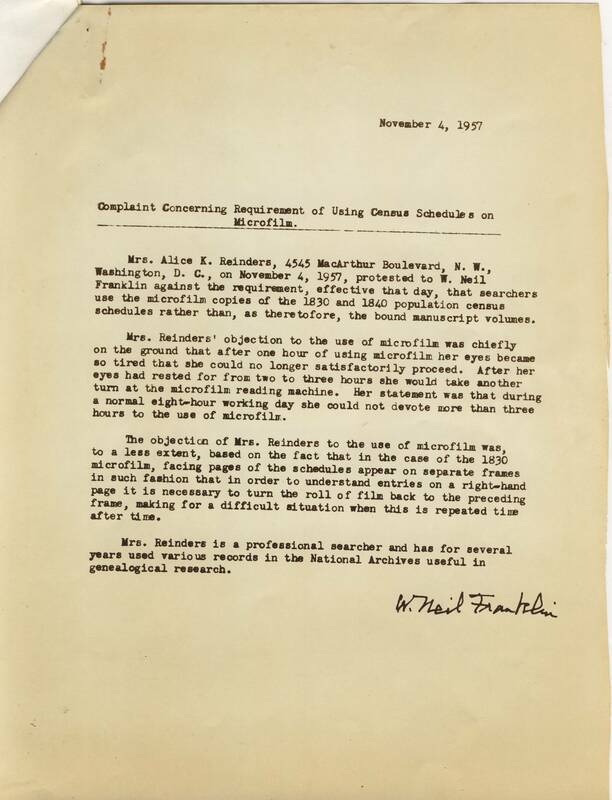 NAID 7788317, file "General Reference"
But now there is stable polyester base film that will last decades, if not longer. 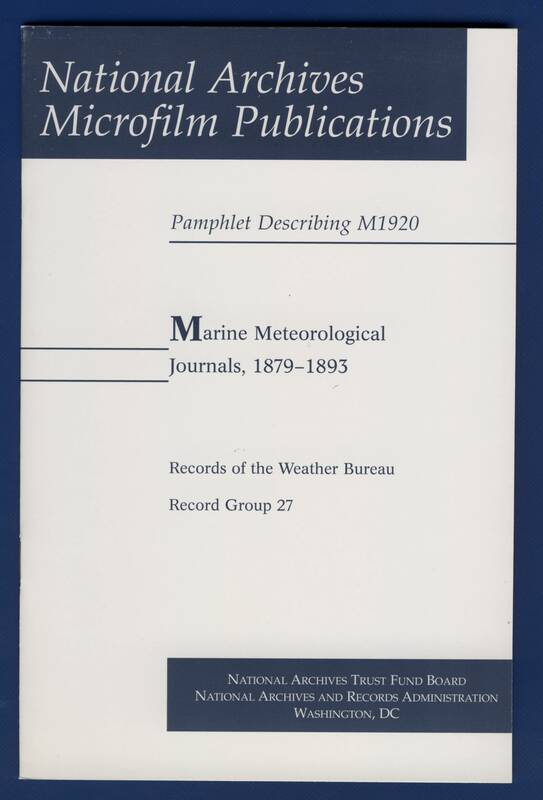 And just in time to digitize it! 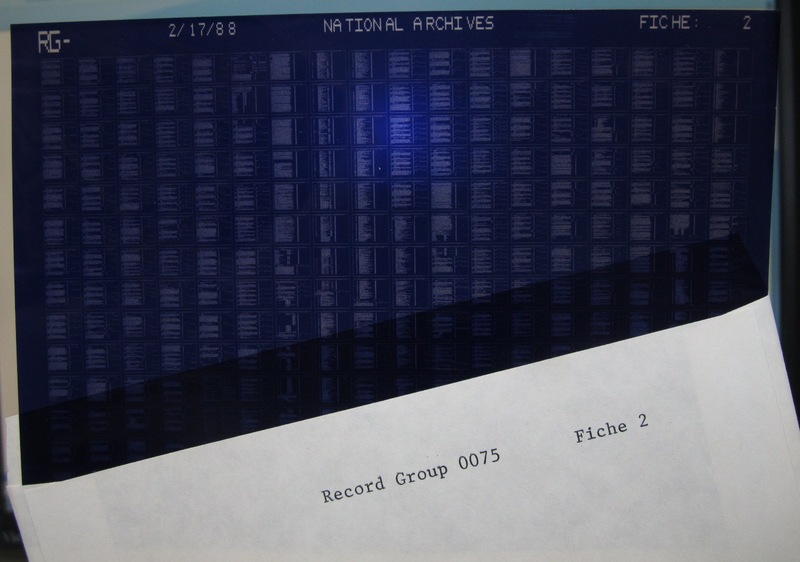 But wait, are you up for going microfiche-ing, too? Here is information on how to Request and Order Reproductions. 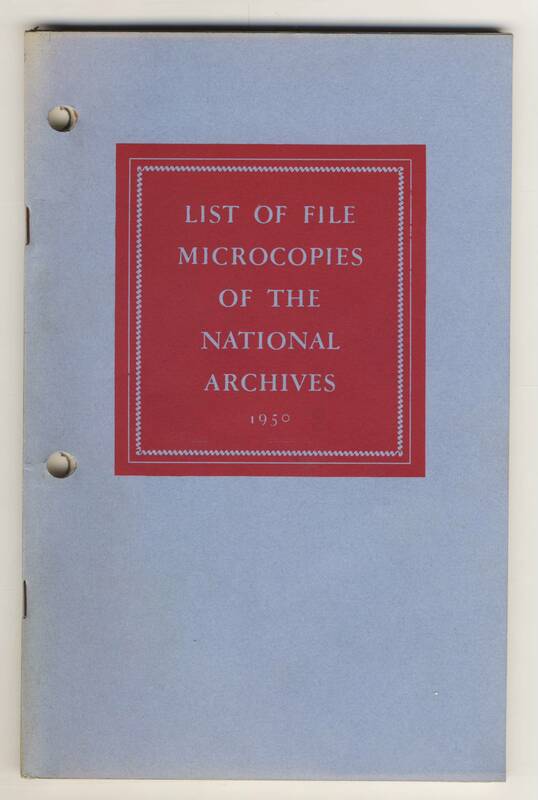 from the National Archives. "A Reasonable Degree of Promptitude"